If you have never solved the cube before, you want to start by learning the Beginner's Method. Here is a link to the Printable Page that accompanies my tutorial. 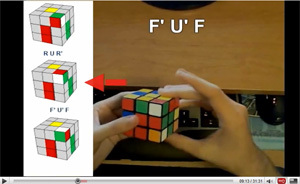 After watching the video above, I reommend you watch my video called How to Become a Speedcuber, which tells you in what order you should be learning the more advanced algorithms.